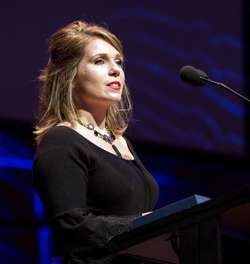 The annual Arts Alumni Awards raise awareness of our alumni and honors their outstanding contribution to society across a diverse range of fields. Based within the arts, media, government, business, community and not-for-profit sectors, their achievements underline the ongoing relevance of an Arts education. For individuals who are under 35 years of age and who have demonstrated an outstanding level of professional achievement and community involvement since graduating from The University of Melbourne and /or have been recognized by colleagues and peers for their outstanding leadership and impact as global citizens. Jenna Davey-Burns is passionate about creating change. Since graduating from the University of Melbourne in 2011 Jenna has worked across not-for-profit and government sectors as a gender and human rights policy specialist. Some of the many important projects Jenna has been involved in include, working with Christine Nixon to assist women affected by the 2009 Black Saturday Bushfires, inter-governmental policy work with the United Nations Inter-Agency project on anti-human trafficking in Bangkok and most recently, advising on the implementation of the Royal Commission into Family Violence with Djirra. Jenna has been a Director on the board of Cambodian Kids Can since 2014, an organisation dedicated to improving educational opportunities for young women in Cambodia, and on the board of the Queen Victoria Women's Centre since 2016. "Sometimes the biggest life lessons come when you least expect them. 12 months ago, I was hiking in Nepal when tragedy struck. Despite my efforts at CPR, a young woman who was hiking with us died. Three days after that trip my brother called and told me our father had passed away. It was that week that crystalized life's lessons for me. Simply put, those life lessons are finding resilience, embracing the community and speaking the truth. The biggest thing I've embraced in the last 12 months, is to take every precious moment of life and savour it. To this room full of inspiring people, I wish you all the best and to continue to take every opportunity life offers and to make it count." Linh Do has worked tirelessly on environmental issues for the past decade. She is passionate about social change and reducing inequality. Linh's environmental advocacy has seen her connect with a wide range of stakeholders, from high school students to the United Nations and the Reuters Foundation. She led the Australian Conservation Foundation's community organising program and has worked with Climate Action Network International. 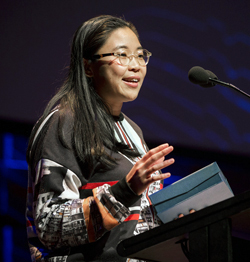 In 2010 Linh co-founded the online community engagement platform, OurSay. Most recently, Linh served as publisher and editor-in-chief of newswire service, The Verb, where she worked with an international team to localise and humanise stories from the UN Climate Change negotiations. Linh's work has been featured in a wide variety on publications including Al Jazeera, Vogue, the Huffington Post and the Washington Post. In 2013, Linh was named a World Economic Forum Global Shaper, Australian Geographic Young Conservationist of the Year, and one of Junior Chamber International's Outstanding Young Persons of the World. "My Bachelor of Arts degree has given me the ability to embrace a world full of complexities, where I may not always have the answer but certainly always the desire to ask myself 'how am I going to make a positive impact today'. To the current students in the room, I hope that once you graduate you start to figure out the answer to the question of how you are going to use your Arts degree to make a difference in this world." For an individual who has made a significant and sustained contribution to the Faculty and University through outstanding leadership, impact on students, research and teaching, engagement or philanthropy. Awarded for contribution to the Faculty and University that has been outstanding in both scope and influence across many years, Professor Patricia Grimshaw has demonstrated scholarships in the field of women's history and tireless commitment to the promotion of history among women in Australia and internationally. Professor Patricia Grimshaw has made an extraordinary contribution to women's history, academia and the wider community in her long career. Amongst an extensive list of achievements, Professor Grimshaw has been recognised as a Fellow of both the Australian Academy for Social Sciences and Australian Academy for the Humanities, served as Head of the University's Department of History and Deputy Dean of the Faculty of Arts. 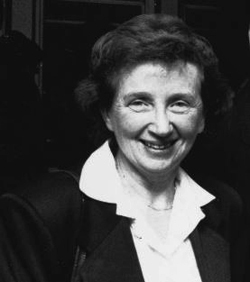 Professor Grimshaw was President of the International Federation for Research in Women's History and, as a Director of the National Foundation for Australian Women, was instrumental in establishing the Australian Women's Archives Project, a register of Australian women who have contributed to Australia. Professor Grimshaw developed a pioneering course on women's history, Changing Concepts of Women's Place, an initiative which led to the creation of a centre for the history of women. 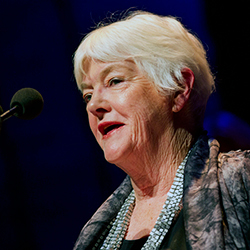 In March 2008, Professor Grimshaw was inducted into the Victorian Honour Roll of Women for pioneering women's history. In the same week, the University of Melbourne launched the Patricia Grimshaw Mentor Excellence Awards to honour her contribution as a mentor of students and colleagues. For an individual who has demonstrated outstanding leadership in business, community or government. Dr Nadera Hayat Burhani is an internationally-educated medical doctor, specialized in obstetrics and gyneacology. 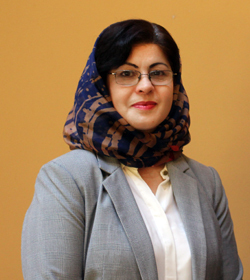 Dr Burhani was Deputy Ministers of Reproductive Health and Mother and Child Health and the Health Care Service Provision in the Ministry of Public Health in Afghanistan (2005 - 2012). A ceaseless campaigner for women's rights, and a member of the Women Rights Defense Association, she was an elected representative of Afghan women in three Grand Assembles. Dr Burhani is responsible for the health program of Radio Rabia Balkhi that broadcasted for women awareness in Balkh province of Afghanistan. In 2015, Dr Burhani obtained two graduate degrees, one in Public Policy and Management from the University of Melbourne, and the other in International Public Health from Liverpool University of United Kingdom studied via correspondence. Dr Burhani also holds a Diploma in International Health Regulation and an Advance Certificate after conducting a research from Geneva Medical University. Currently, she is working as a Health Delegate/ Primary Health Care, Doctor in Ukraine and representing the Australian Red Cross through the Geneva International Committee of Red Cross. Dr Burhani's award was accepted on her behalf by her son Fayaz Hayatullah. "My mother started her journey from a mud house in a war-torn region of Afghanistan. She went on to become a doctor, senator and deputy minister and returned to study, she now holds multiple master's degrees in a variety of fields. My mother says, 'Tonight's ceremony is a very auspicious moment for me, I want to say that I am truly grateful for this honor." For an individual who has made an outstanding, long-term and internationally-recognised contribution to their field of endeavour. Stephanie Alexander is a prolific and bestselling author and food writer and an internationally renowned chef. Her book the Cook's Companion has sold more than 500,000 copies and is often referred to as 'the bible'. Stephanie has always had a commitment to training and mentoring young people. She was awarded an Order of Australia (OAM) in 1994 for her services to the hospitality industry, to tourism, and for encouraging young apprentices. Since 2001 Stephanie has been devoted to the development of the Stephanie Alexander Kitchen Garden Foundation. She believes that the earlier children learn about food and where it comes from, the better their food choices will be. My years at The University of Melbourne were extremely significant in my life chiefly because of the friendships I made. Although my achievements have not been in the academic field, I still regard myself as an educator. 14 years ago, I started the not for profit Stephanie Alexander Kitchen Garden Foundation. Concerned about the prevalence of obesity and its link to diabetes and other chronic diseases, I saw little if anything being offered to young children that might positively influence their food choices. I knew it had to be a program that involved pleasure, not prohibition. How we choose to eat can contribute joy as well as good health and can promote tolerance, confidence, environmental understanding and protection of our food security."